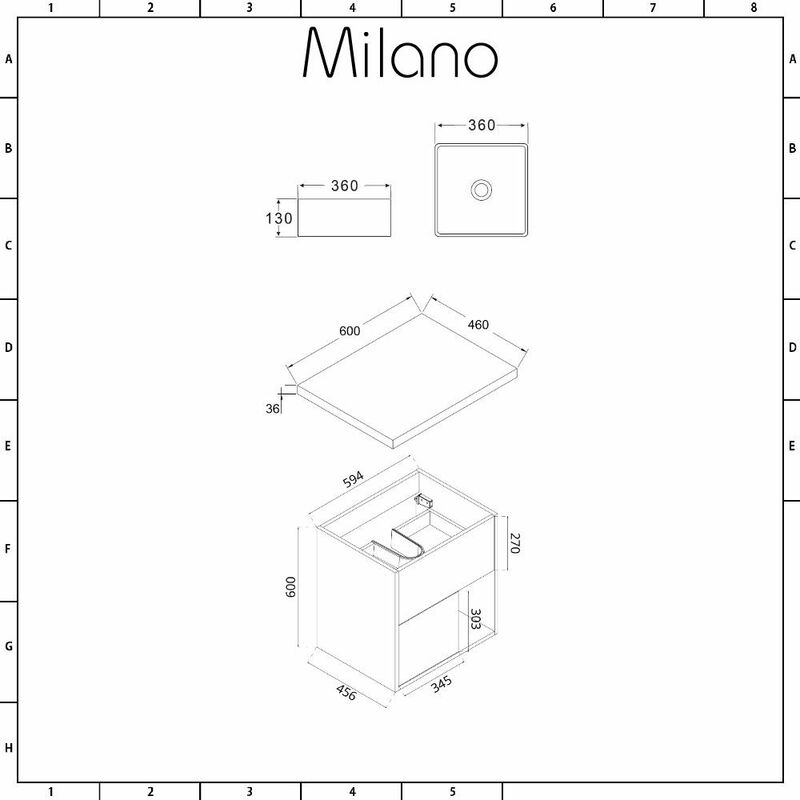 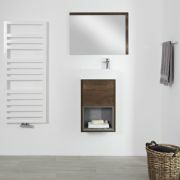 Install a stylish and practical storage solution to your bathroom with the wall-mounted Milano Bexley 600mm vanity unit and basin. 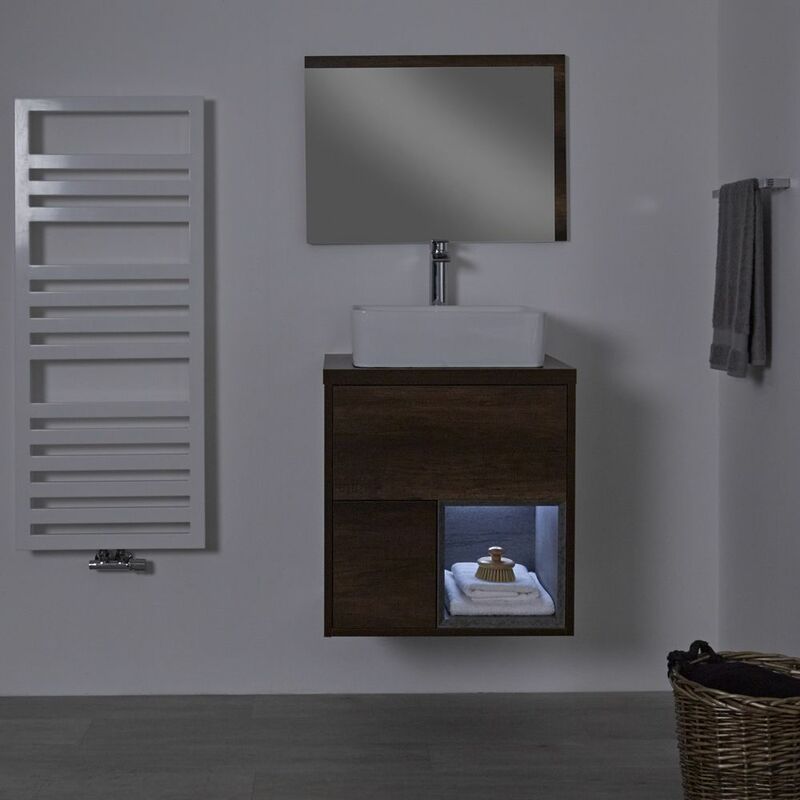 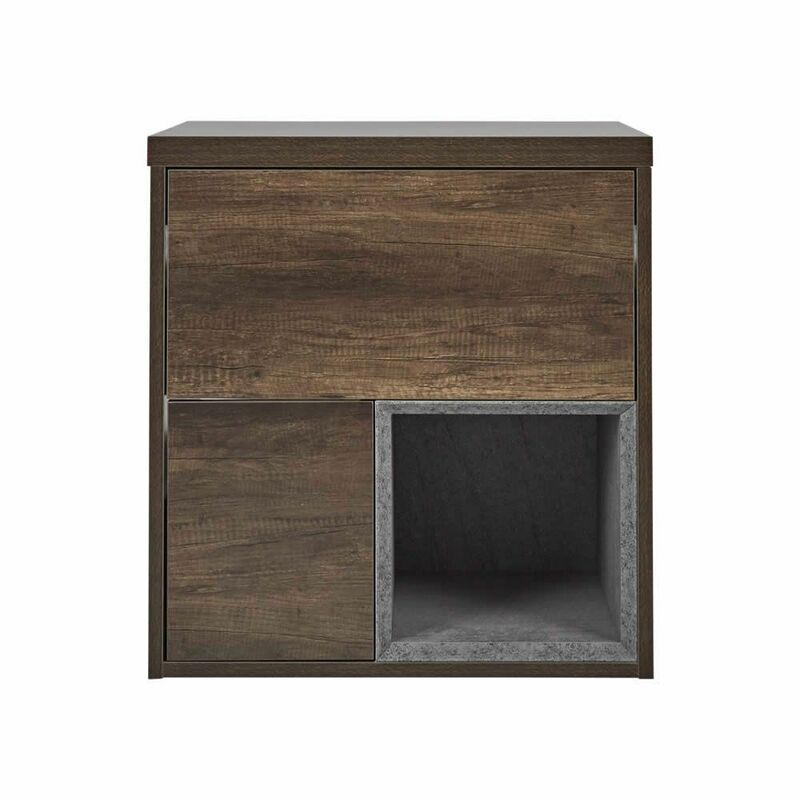 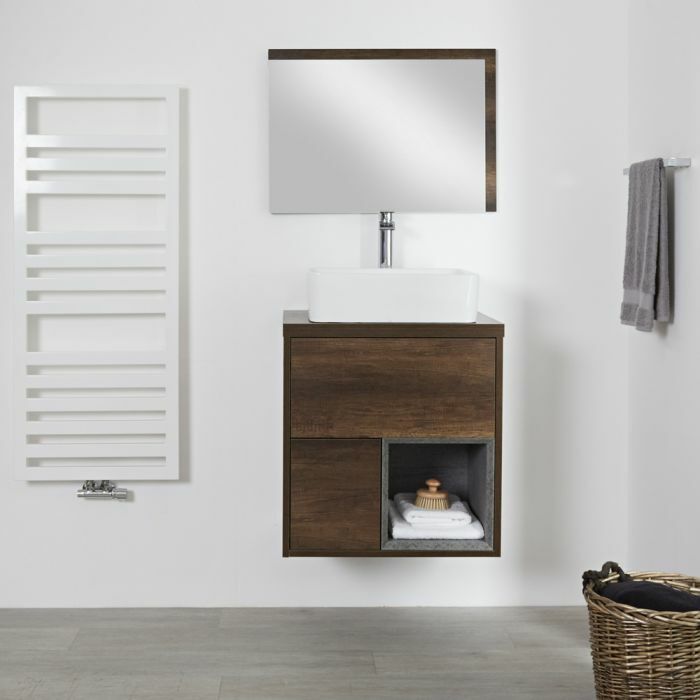 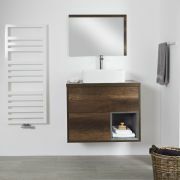 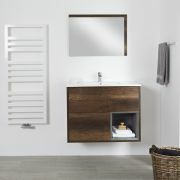 With a stunning dark oak woodgrain effect finish, the Bexley vanity unit combines a strong moisture resistant engineered wood construction with long-lasting durability and contemporary looks. 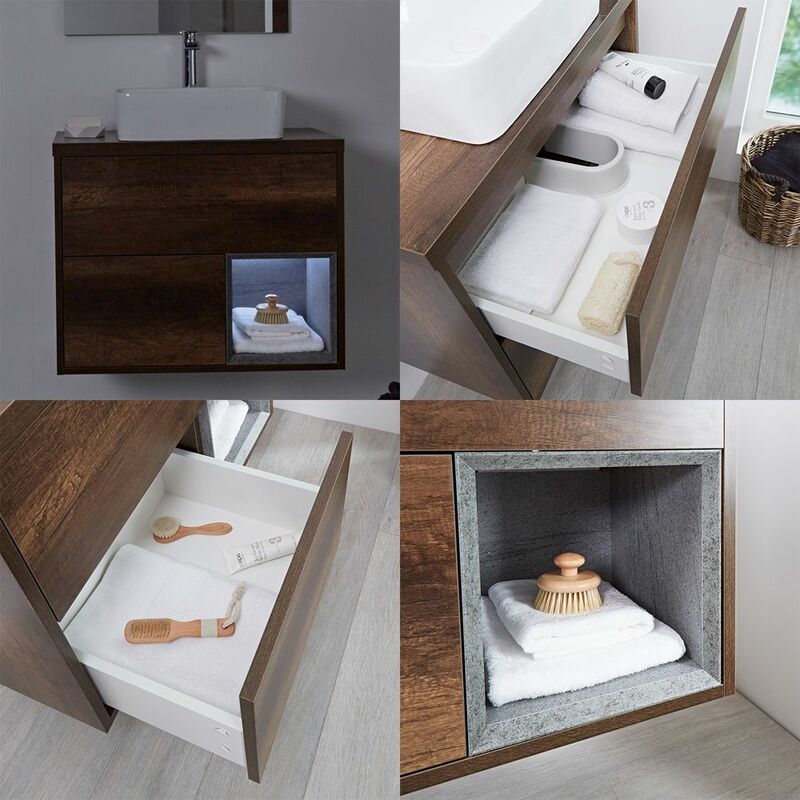 Your bathroom can be kept uncluttered with the two push to open soft close drawers and an open shelf to enable you to store your bathroom essentials discreetly. 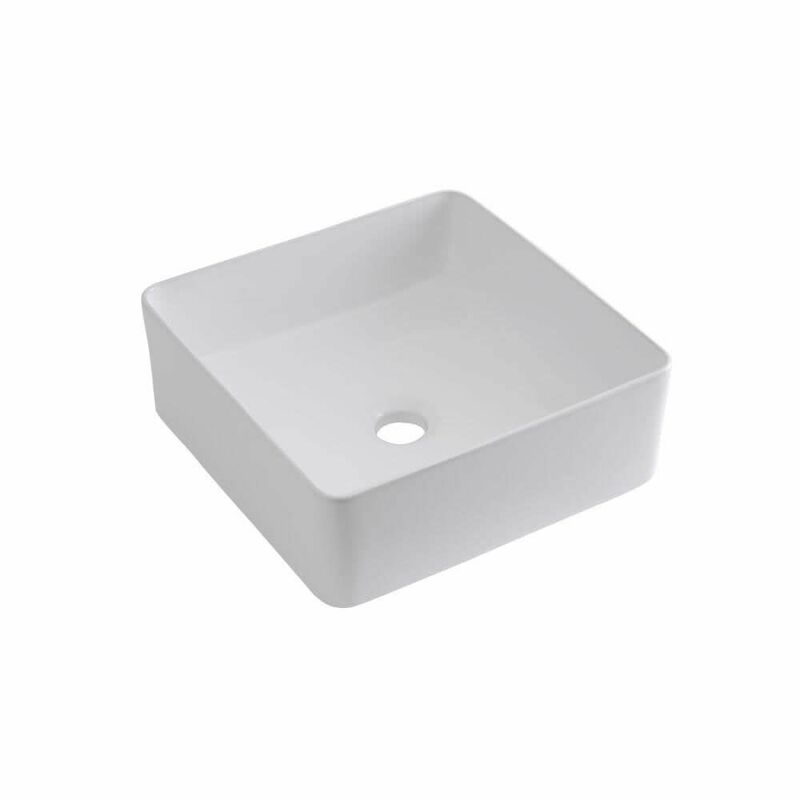 To complement the look a square countertop basin, made from easy to clean high quality ceramic with a white glaze finish, sits proudly on the top of the vanity unit. 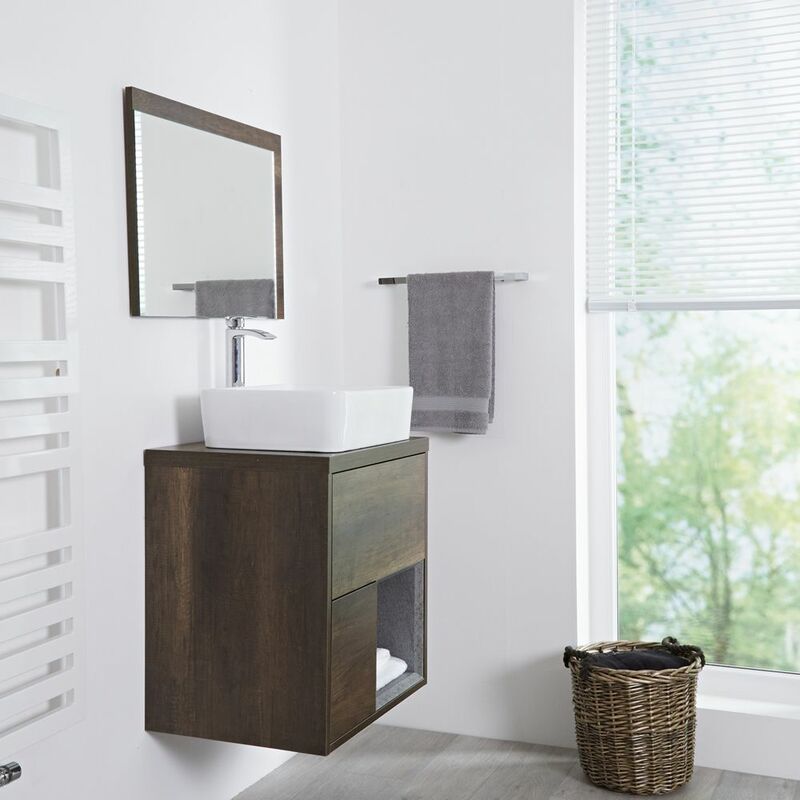 The basin is not fitted with a tap-hole, allowing you the opportunity pick any of the wall-mounted or high-rise taps in our range to complete the look.